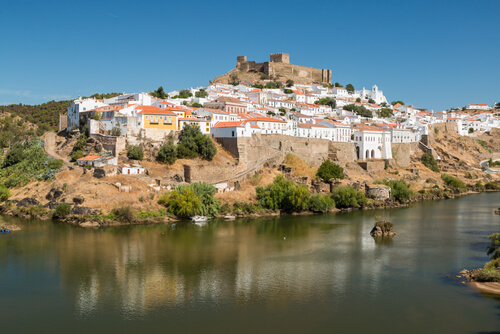 Set precariously on a rocky outcrop, the Portuguese town of Mértola – found to the south-east of the country and near the border of Spain – leaves a lasting impression on its visitors. Thanks to its remote location, its Islamic past is still firmly entrenched in the architecture and winding laneways to the extent that it is formally known as an open-air museum and, since 2017, a UNESCO site. While the town has imposing sights, the best way to experience Mértola’s charm is to wander its picturesque streets and simply discover. Though small, with a population of just over 7,000 people, Mértola is well worth a visit as the architecture and cityscape act as a history lesson. With a long list of inhabitants, including Phoenicians, Carthaginians, and eventually, the Moors from the Maghreb, make sure to take in its colourful history by exploring buildings, streets and monuments that date back hundreds of years. Hike to the top of the city to visit Castelo de Mértola (Mértola Castle). Originally constructed by the Moors in the 10th century, it underwent two rebuilds – most recently in the 20th century – after lying in disrepair for more than four centuries. During this time Mértola itself was largely left abandoned as the focus shifted to maritime expeditions and colonisation elsewhere in the country. At the castle, be sure to visit the Roman ruins which are still in the process of being excavated and include a collection of beautiful Byzantine mosaics. There are also remnants dating as far back as the 10th century – stick to the ground floor and keep your eye out for large marble slabs that date back to this time. While there, set aside some time to take in the 360-degree views of Mértola by climbing to the top of the turret. 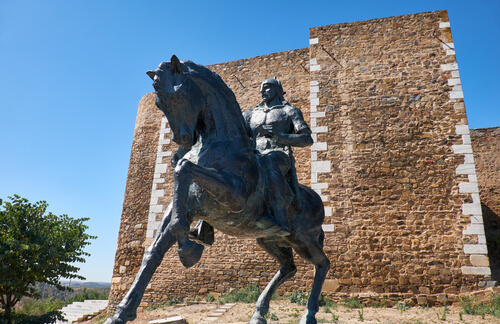 The Mértola Tourism Information Office has created a series of walking tours around the town that cater to different interests such as Islamic architecture and Roman and Late Antiquity, among others. One top pick is the Museu de Mértola (Mértola Museum) tour, which takes in a number of the town’s museums with a focus on the archaeological treasures uncovered over the last 30 years. 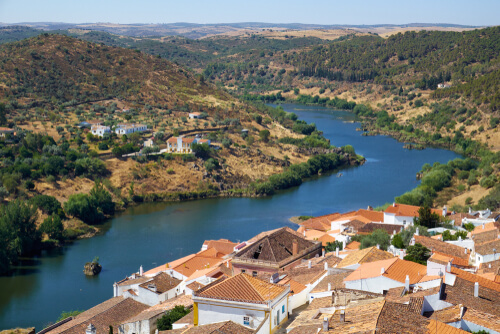 Mértola is conveniently located in the Alentejo region, which is considered the gastronomic soul of Portugal. It is particularly well-known for its black pork, a delicacy that is found in a number of local dishes. Porco preto (black pork) comes from the famous black and grey pigs that are fed only acorns, leaving their meat with a distinctively nutty flavour. For vegetarians, try sopa de tomate Alentejana – a light, tomato soup, typical to the region. Nicknamed the ‘Tuscany of Portugal’ (at a fraction of the price! 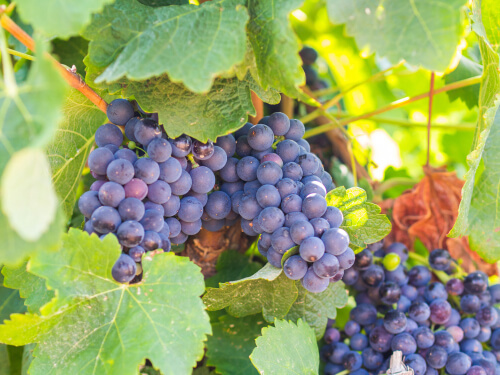 ), the Alentejo region also produces more than half of Portugal’s wine. When tucking into a meal, be sure to order a bottle (or two). If you’re after something you won’t find at home, try the white Antao Vaz, crisp and acidic in taste and viewed as the tastiest grape grown in the area.